Indeed loads of interesting stuff for everyone. Thank you Tony Bourdain and whole No Reservations crew. p.s. Recently found out whole new stuff but almost the same from Tony too called Parts Unknown, so far like it too. anonymous: "Anthony Bourdain has tasted it all it seems." John: "Hi, Neat post. There is an issue together with your site in internet explorer, may test this IE nonetheless is the marketplace leader and a huge part of folks will leave out your magnificent writing because of this problem. fdddekcabaeedffe"
anonymous: "thanks, will check it out ;)"
anonymous: "try that robots 260814"
anonymous: "who ever still uses IE should try some real browser ;)"
anonymous: "i managed to catch some of his travels, really interesting. also nice browser tip, me like chromium flavor." anonymous: "Weird web user interface that works, love roundness of it all, also black works well on mobile devices, gj." 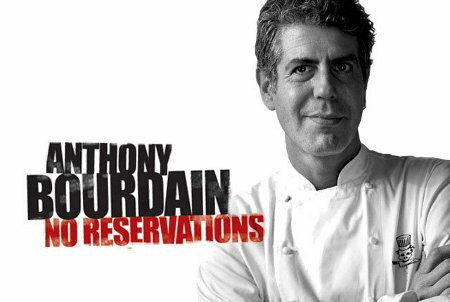 anon: "anthony bourdain for president, of some island country, any country ;)"
bourdain@no.reservations: "also Anthony did parts unknown for cnn travel i think, but still i like best No reservations series. " Aly Chiman: "My name is Aly and I would like to know if you would have any interest to have your website here at sparot.com promoted as a resource on our blog alychidesign.com ? " Solve this complex math: 4 + 5 = ?